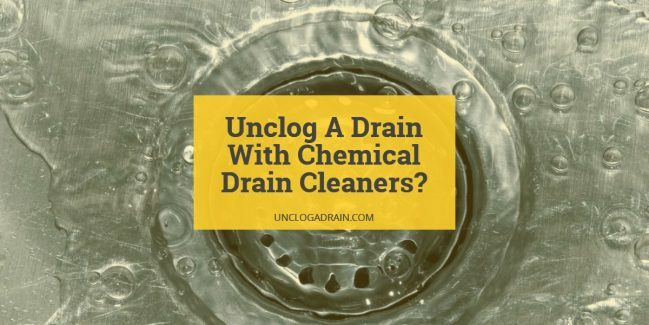 How To Unclog A Drain With Chemical Drain Cleaners? 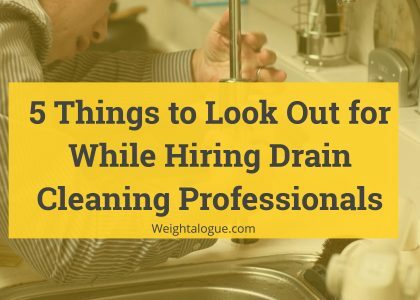 Every drain in your house tends to get clogged, every now and then. There are a lot of methods to unclog the drain starting from a simple baking soda and vinegar solution to wet vacuum or suction machine. A chemical drain cleaner is the one which dissolves the clog in the drain and opens up the path for water drainage. This article will talk in detail about the steps needed to unclog a drain using chemicals. Do not start the unclogging process with this method. Since the effect of the chemicals on the pipeline and environment are high, it is better to leave it, as the last resort. There are numerous other methods of clog removal to try before you get to a bottle of chemical clog remover. Chemical clog removers can be used for all types of drains like toilet sink, floor drain and others. If there is a complete block in the water drainage, the chemical solutions should not be used. The solution should reach the area of clog to react and erode it. Thus, using any method, the clog should be slightly removed such that there is a little water drainage and there should be no standing water. 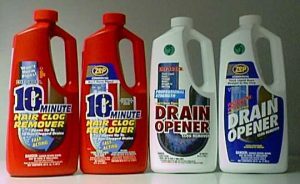 There are a lot of brands of chemical drain cleaners available in the market. Each chemical is marketed in a different manner. It is up to you to choose the one that you think is reliable. There are concentrated chemical drain cleaners like concentrated sulfuric acid which would dissolve even small metals blocking the path. It is very uncommon to use this concentrated drain cleaning solution in household pipes. The very common chemical drain cleaner includes sodium hydroxide or lye or potassium hydroxide. Chemical drain cleaning solutions do not come in liquid form, every time. There are dry powders, pellets and other forms of chemicals clog removers in the market. Each one has its own set of advantages and disadvantages. It is up to you to choose the form of chemical clog remover, as per your convenience. You cannot simply use the chemical, without any precautions. Here are a few things which you need to know, before you start using the chemicals. Safety first. Use gloves and wear an apron. Before using the chemical drain cleaning solution, you should not have used any other chemicals including the baking soda vinegar solution. The chemicals will react with each other and cause unwanted effect on the drain. This happens even with the residue chemicals present inside the drain pipe. Thus, there should be a minimum of eight hours gap between two chemical clog remover solutions. Do not mix any two type of chemical clog remover together. You cannot predict the reaction that would result and mixing two types of solutions would not cause better output in any manner. Do not use any pressure related mechanical method immediately after using chemical drain unclogging solution. In some cases, the pressure based equipment would splash out any residue water present inside the pipe along with the clog. This would result in a chemical splash all over you and your floors. The chemical solutions should not come in contact with any soft tissues which include eyes, ears, mouth, nose and others. If so, wash the area with water and get medical advice immediately if irritation persists. Chemical solutions are harmful to children and pets. So, keep it away from them. Do not use hot water to flush the drain after using chemical solution. Stick to lukewarm or cold water. Keep the room well ventilated, while using the chemical solutions. 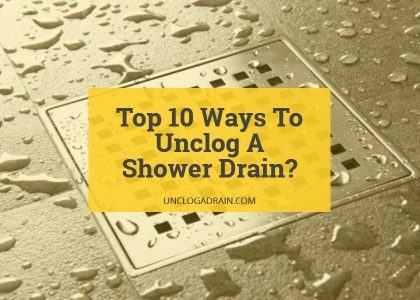 Use any simple mechanical method to remove accessible clog in the drain. This includes plunger or snake. Read the instructions given in the bottle and use as much chemical, as directed. Do not assume any quantity. Do not throw the solution into the drain. Pour it slowly. Usually the chemical solutions are very quick in action. Within a few minutes, the clog would be removed. In case of serious clogs, it would take a few hours. Thus, use the solution overnight and leave it in the drain for a few hours. Though it is an effective solution, it is better to leave chemical drain cleaner as the last option due to its adverse effect on your pipelines and also on the environment. How To Unclog A Shower Drain? How To Unclog A Bathroom Sink Drain? How To Unclog A Bathtub Drain? How To Unclog Basement Floor Drain?